Creaform, a leader in portable 3D measurement solutions and 3D metrology services, offers flexible and precise measurement solutions for measurement tasks in production environments: The key is the TRUaccuracy technology, which is integrated in all Creaform systems. The Creaform portable 3D measurement technologies are suitable for manufacturers in need of an accurate and reliable measurement device designed to operate in 'real-life' shop floor conditions. Based on the TRUaccuracy technology, the Creaform measuring devices always generate reliable and highly accurate measurements. Thanks to dynamic referencing, the environment surrounding the part to be measured is of no concern: vibrations, high/fluctuating temperatures, dust or any other extreme condition will not have any impact at all on the accuracy and speed of the measuring devices. The HandyPROBE probing system generates high-accuracy measurements (accuracy of up to 0.022 mm), and outperforms traditional portable CMMs like measurement arms or laser trackers on the shop floor. The portable CMM HandyPROBE is currently used on the production lines of major players from the automotive, aerospace and manufacturing industries. 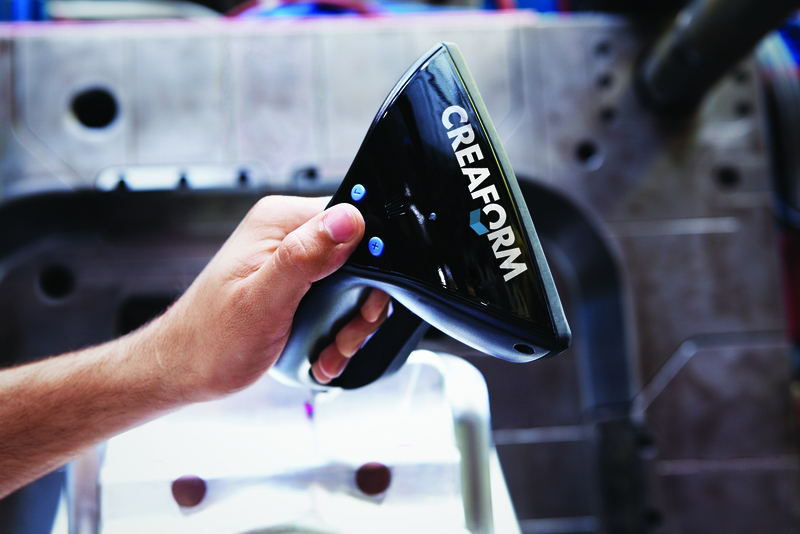 The Creaform 3D scanners are handheld, light and they fit into a small suitcase. Because they have no mechanical constraint, they allow total freedom of movement and can be brought and used virtually anywhere. The data acquisition process is straight-forward and generates extra fast results, with real time visualisation and direct mesh output. The 3D scanners are up and running in less than five minutes and require neither rigid set-up nor particular experience from the user. Parts can be scanned in any size, material or colour. The results are accurate, repeatable, high resolution 3D data with accuracy from up to 0.040mm. 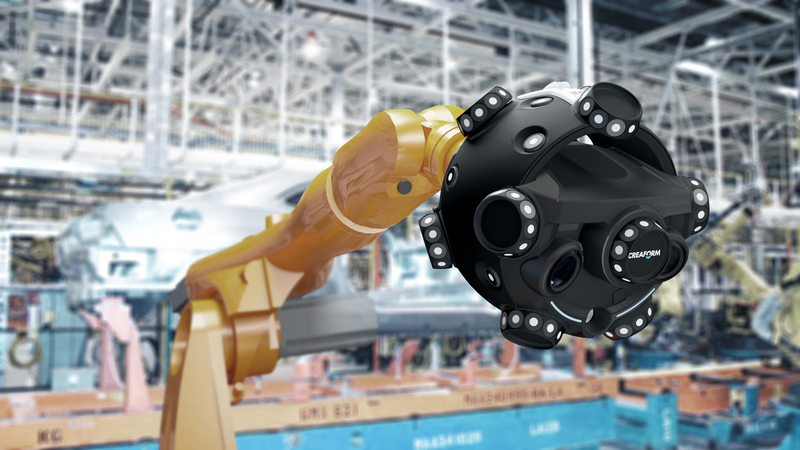 Since May of 2013 Creaform, offers the MetraSCAN-R, a robot-mounted scan solution for automated 3D inspection of parts on the production line and on the shop floor. The MetraSCAN-R scanner is offered in two versions (70-R and 210-R) and used for on-line inspection in mass production (up to a few hundreds parts a day), on-line inspection of parts ranging from 0.5 to 3 metres in size, part-to-CAD analysis, supplier product quality inspection, conformity assessment of 3D models against original parts / production tooling or manufactured parts against originals.